A recent outbreak of a mosquito borne virus known as Zika has been the source of great public health concern in Brazil. It is estimated that 1.3 million cases of Zika have been identified since May of 2015. The Zika virus is named after the Zika Forest in Uganda, where in 1947 the virus was isolated from a Rhesus monkey. It was not until 2007, that the first major outbreak of the Zika virus took place in Micronesia. Since that time additional large outbreaks have occurred in French Polynesia with over 10,000 cases identified in late 2013. The current outbreak in Brazil, is the largest ever in the Americas. The virus is transmitted to humans by the Aedes aegypti mosquito. Once bitten by an infected mosquito, symptoms usually begin after an incubation period of three to twelve days. The CDC estimates that one in five who are bitten by an infected mosquito will develop clinical symptoms. Symptoms of the disease include the onset of a headache, rash, fever, joint pain(s), conjunctivitis and malaise. Clinically, the disease can appear very similar to dengue. For most, the disease process is mild and can last up to a week. Until recent, no deaths have been reported, Brazilian health officials and doctors are recommending that women avoid getting pregnant until after mosquito season. The virus has been linked to babies born with a rare neurological disorder in which there is incomplete brain development, known as microcephaly. The number of cases identified during this recent outbreak is over 10 times the amount from 2014. A number of recent infant deaths are being investigated to identify if there is a link. The first case of Zika was identified in Puerto Rico last month. Public Health experts anticipated the spread of the virus into the southern United States by the spring, but we already have had 3 cases in Florida and one in Hillsborough county..
At present, there is no specific antiviral treatment for the Zika virus. Treatment is focused around supportive care including rest, consumption of fluids to prevent dehydration, and the use of acetaminophen. 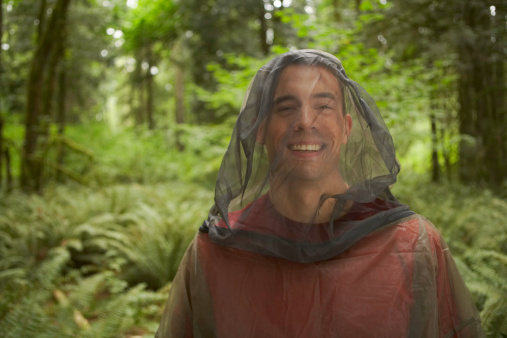 Minimizing exposure to mosquitos is the only way to prevent the spread of the virus. The use of appropriate repellents, protective clothing covering the extremities, and the use of mosquito nets and screens are recommended to minimize the potential for infection.